The pastoral leader of the Antiochian Orthodox Church Archdiocese in North America will visit St. George Orthodox Church in Fishers as part of its 90th anniversary celebration this weekend, Oct. 8-9. 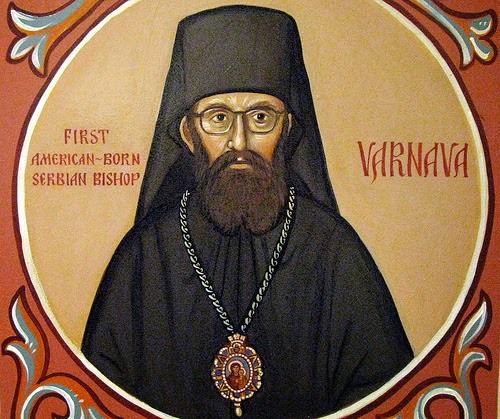 Metropolitan Joseph, will visit for an anniversary celebration dinner on Saturday and preach at the Divine Liturgy on Sunday morning at 10:00 a.m. He will also visit with other parish groups throughout the weekend. Bishop Anthony, who is bishop of Toledo and the Midwest, will accompany him, and the Rev. Fr. Nabil Hanna, pastor of St. George, will host their visit. Metropolitan Joseph, who is Archbishop of North America and Metropolitan of North America, grew up in Damascus, Syria. After completing his education in Syria and Greece, he was ordained a priest in 1980 and served as pastor of Orthodox churches in London and Cyprus from 1983 to 1991. In 1991, he was consecrated as Bishop of Katana, Syria. He came to the U.S. and was later consecrated as Bishop of Los Angeles in 2004. In 2014, he was elected to become the Archbishop of New York and Metropolitan of North America. Metropolitan Joseph is fluent in English, Arabic, Greek and conversant in other European languages. The Greek, Russian, and Antiochian Orthodox churches are the largest three branches of Orthodox Christianity in America. St. George Orthodox Church, which is affiliated with the Antiochian Archdiocese, was founded in Indianapolis in 1926 by immigrants from Syria and Lebanon. It moved to Fishers from its old Indianapolis location in 2013. The church sponsored the Middle Eastern Festival of Indianapolis from 1995 to 2012 and renamed it the “St. George Festival” in 2013 to celebrate its growing, diverse congregation. The festival attracted more than 6,000 visitors last month, who enjoyed its unique Middle Eastern menu and tours of the church’s stunning architecture and iconography.